I really need to stop thinking that what I write has to be perfect. That attitude keeps me from writing very often. The key to blogging is to do it often. Life has been good lately with LOTS OF BIG THINGS HAPPENING but I can't talk about it yet as the plans are not certain and I really really want it to happen but I don't want to jinx it :) I also don't want to get so excited that I am deeply disappointed if it doesn't work out..... So, here's whats been up with me lately that I can talk about! when this person is a lovely soul and a yoga teacher that I admire very much. So, today was Day 1 of #handstand 365. I am a little intimidated by the whole 365 part but it will be fun no matter how many days I manage to do. The key to this challenge of myself is taking the picture daily and it doesn't have to be a great pic. Its like feature creep in programing or art. At some point you just have to go with what you've got and believe its perfect as it is. I want to celebrate this year with some fun and this will be great for my handstand progress. I have been busy getting my beehive together. Yesterday I moved them from the little nuc hive to the finished HoneyCow hive. Today I opened up the HoneyCow to add a sugar water feeder. I just love watching my girls and can't wait to see them grow and prosper. Wish them luck and send them some love!! 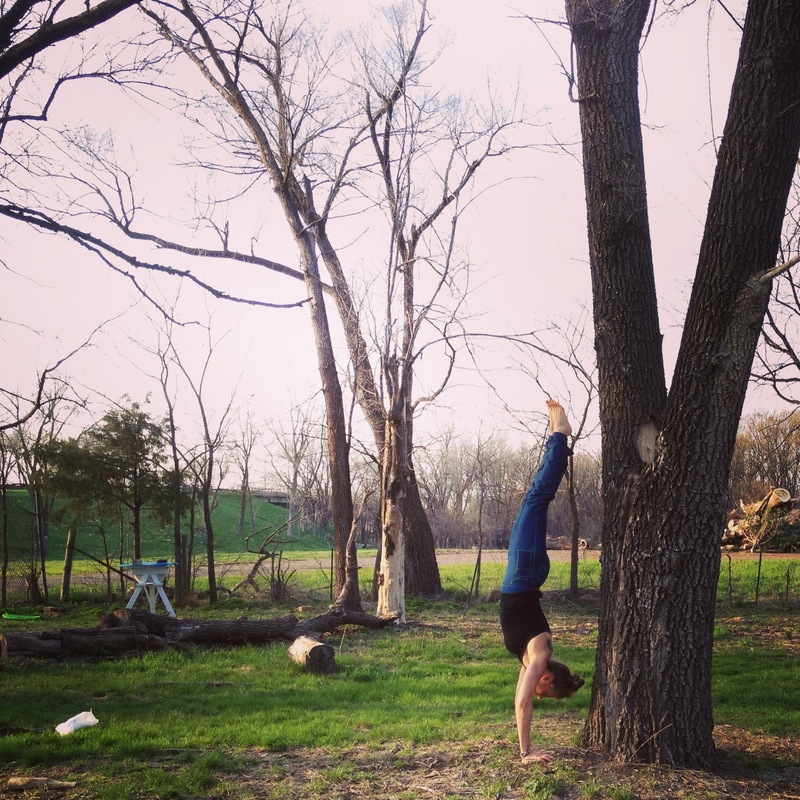 ummm i love doing handstands - i'm totally checking out this #handstand365 thing! I saw that you were doing #handstand365 and love that you're doing it. Can't wait to see how it goes! !